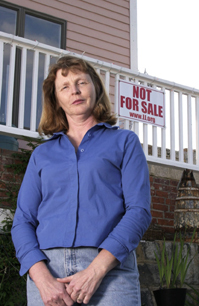 Should the use of eminent domain be limited? State and local governments are under increasing criticism for using the long-established power of eminent domain to acquire private property not only for highways and other government projects but also for private developments. Financially strapped cities say eminent domain, or condemnation, is sometimes the only way to assemble large tracts of land for upscale residential and commercial development that will enhance urban life and bring in needed tax revenue. Property-rights advocates and other critics say the government should not force home and business owners to turn over their property to other private parties. The Supreme Court is considering the issue in a case pitting the distressed city of New London, Conn., against a group of homeowners who refuse to make way for a private development. The justices seemed skeptical of the homeowners' position during oral arguments in February. But some experts say property-rights advocates are causing municipalities to be more careful about using eminent domain in residential areas.